EHPA: Very positive outlook for the heat pump market-heat pump water heater,air source heat pump ,china heat pump supplier-Zhejiang CEN New Energy Technology Co., Ltd. Welcome to Zhejiang CEN New Energy Technology Co., Ltd website ! 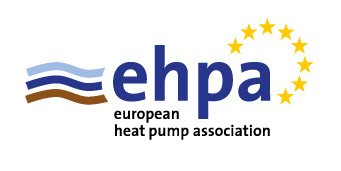 The EHPA market outlook is out and it reveals a growing market for the 4th year in a row! At the end of the year, the counter had reached 10.6 million, the result of 1.11 million units sold in 2017 (+10%). Signs from several markets in Europe indicate, that this growth continues in 2018 since more than 11 million HPs (in total) were installed by the end of the first half of 2018. If this market growth continues, a doubling of the European Heat Pump Market by 2024 is realistic. This is not only good news for consumers but also for national governments and for society as a whole. Those who will accompany the deployment of the heat-pump technology will benefit from a single solution to help them fulfil at the same time the various new obligations arising from recently adopted EU energy policies (renewable heating and cooling, energy savings, energy efficient buildings, increased demand-response, etc.). For more information, interviews or to receive a copy of the report (free for the press), please contact Ms. Eirini Litina.